Take a look at some of the common questions our clients in Winston-Salem have for us. 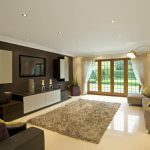 Whether you want to know more about the benefits of steam cleaning, our guarantees, or what we can do to make your carpets look like new, we’ve got answers. If you’re preparing for us to come and clean the carpets of your Winston-Salem, North Carolina property in the near future, we encourage you to look at our FAQ section so you feel fully informed about what we do and our processes. Of course, we are always more than happy to answer your questions if you call us directly to speak with one of our friendly representatives. 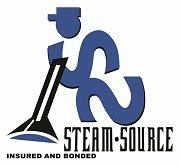 Q: What are the benefits of steam cleaning? We use the hot water extraction method also known as steam cleaning. This removes the toughest and deepest dirt safely and gently. Hot, soft water and specially formulated cleaning solution is injected deep within the carpet fibers. Then a powerful suction extracts deep-down dirt, allergens, cleaning solution and 95% of the moisture. No other method can provide a deeper clean that lasts as long. Our technicians move furniture free of charge and place coasters underneath furniture to protect carpets until they are dry. Q: What are those ugly black lines around the baseboards and under doorways? If you have light colored carpet, you may have experienced these dark lines that appear on the carpet. This soiling is called filtration soiling because it comes from air passing through the carpet as it is attempting to get through the crack between the carpet and the baseboard or under a closed door. As the air passes through the edge of the carpet pile, this microscopic soiling is deposited there (hence the term filtration soiling). This occurs over a significant period of time and is not noticed until a build up has occurred. We do not have a solution for soil filtration. 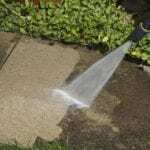 However, if the carpet is cleaned frequently and maintained, this lessons the risk of soil filtration. Heavy soil filtration will lighten with every cleaning. Q: Is it safe for pets and children? Our carpet and upholstery cleaning products are safe and non-toxic to children and pets. Our highly trained professionals can answer all your questions with regards to chemicals and tough stain removal. We provide a free fifteen day warranty on all of our services. If for any reason you are not completely satisfied please contact our office as soon as possible so we can correct the issue. Meaning if any spot wicks back through or doesn’t come out as well as you would have liked, just give us a call within fifteen days of the cleaning and we will send a cleaning specialist out to work on those areas free of charge. Simply click here or on our free warranty tab to activate your free warranty. We are fully insured and bonded. We also conduct background checks, driving checks and drug screenings on all employees. We give a drying time of 8-12 hours. We overestimate this as opposed to underestimating it. The main factors that effect drying times are how heavily soiled the carpets are and the air flow in the home, and the type of carpet. Increased ventilation and ceiling fans drastically speed up drying time. Some carpets dry out in as little as 4-6 hours. Carpets are damp not wet after cleaning. They are fine to walk on immediately after cleaning and everything we use is safe and non-toxic. Q: How wet will my carpets be after cleaning and will the pad be wet? 95% of water, solutions, soil and allergens are removed from carpets during the steam cleaning process. Nothing we do will ever get your carpet pad wet. Q: Does the carpet get soiled faster after cleaning? No, we recommend cleaning your carpets as often as possible. Many Carpet manufacturers recommend cleaning every three to six months. The longer you put off cleaning carpets the more embedded the dirt and soil can become, wearing the carpet fibers down quicker. Cleaning the carpet helps to preserve the life of those fibers. Our technicians will move anything two men can move safely free of charge. MasterCard, Visa, Check, or Cash. Q: What is protector and do I need it? Carpet Protector is an invisible coating which re-seals your carpet fibers and provides a high resistance to spots, spills and stains. It acts much as a stain repellant. Having Carpet Protector will enable you to remove stains that would otherwise become permanent, it will prolong the life of your carpet and it will help the cleaning to last longer. Carpet manufacturers recommend reapplying protector with each and every cleaning due to the fact that protector breaks down over time leaving you carpets more vulnerable to permanent stains if left unprotected. Q: Can you remove pet odors? Our Deodorizer has a sanitizing agent as well as an anti-bacterial agent. It is excellent for pet odors or unpleasant odors in your carpets. These odors are sometimes brought to the surface making them more noticeable after deep steam cleaning. The deodorizer is made up of enzymes that kill these odors as opposed to just masking the odor. These enzymes eliminate the odor while the carpet is damp and neutralizes the odor after carpets are dry. Deodorizer improves indoor air quality aiding in a healthier and cleaner air environment. Q: How long does it take to clean the carpets? It takes about 30 minutes a room. 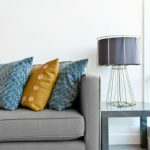 However the amount of time a cleaning takes depends on how heavily soiled the carpets are and the amount of furniture that needs to be moved. Q: Do you have a minimum charge? Our minimum charge is $109.00. Q: Why are you different from other companies? Our main goal is your satisfaction, not how many jobs we can pack into our day. We are very knowledgeable about what we do and take great care with your cleaning needs. We are a certified firm with an A+ rating with Angie’s list. We do back ground checks and drug testing of all employees. Q: Do stairs count as a hall? No, stairs are time consuming because the are often heavily soiled and we clean the surface and backing of every step. You can however, substitute a set of stairs for an area. Q: How large can a room be that is advertised in a special offer? Each room is allowed to be up to 300sqft. Q: Can you guarantee the removal of stains? There is not a carpet cleaner that can honestly make this guarantee to customers. If it is possible that a stain can be removed, steam cleaning will be the best method at successfully removing the stain. However, it depends on the type of stain, how long it has been there and what it has been treated with to determine if the stain will completely come out. Pet stains are difficult stains to remove due the level of acid in these stains. However, we are very successful at removing these stains. Stains that do not come out on the first try will sometimes drastically lighten over repeated cleanings. We do not make a guarantee that all stains will come out. However we do offer a 15 day grace period where if any stains reappear we will come back out within the 15 days and re-clean the area free of charge. Q: Do you work on Saturdays and if so is there extra fee for that? We do work on Saturdays at no extra charge. Q: Does someone have to be at the home during the appointment? No, we are fully insured and bonded. You can leave directions on how you would like us to enter your home and any areas that need special attention. Q: Do you clean Berber Carpets? Our company cleans berber carpets at no additional charge. Many of our competitors charge extra for this service.